​What did I figure out? It doesn't matter. It was mostly wrong anyway. And it wasn't the only time I thought I'd figured everything out, either. Step 1: Go to a professional development session that promises to make failure not an option anymore or read a book that offers (insert number) of ways to make sure your students (insert lofty educational goal)!!!! Step 3: Front-load many, many hours into overhauling a classroom system, or designing and printing a classroom currency, or making a class set of every page of my new timed reading prompt workbook, or teaching students a new set of classroom rules. Step 4: Brag to at least one other person about how I have it all together now. Step 5: Watch my plans fall apart quickly and disastrously or degrade over time. I'd explain the directions for my new classroom currency and the kids would just stare at me blank-faced, or there would be technology glitches, or the kids would have so many questions I couldn't answer that I'd just say, "Never mind. NEVER MIND! We'll come back to this tomorrow. For now, just do things the way we did them before." More often, however, things degraded over time - the new folder system just took too much willpower to keep up with. The fifteen minute, beginning-of-class exercise just kept growing until it took 43 minutes... every day, until it no longer seemed like a good use of time. Step 6: Realize everything I thought I'd figured out was mostly wrong. Get mad that I'd wasted so much time. Now, here's what I've realized since: Every time you feel like you've figured everything out, you're mostly wrong. But... mostly wrong isn't the same thing as completely wrong. Most of your big, frantic, aha-moment-driven overhauls will leave you with something you can use. Maybe you can scale back your big plan into something the kids understand. Maybe you can turn part of this new system into a classroom job that one of the kids can do. Or maybe you can dig out the one little piece of this that worked and graft it onto one of your existing classroom systems. Each time you go through the process described above, you become one real, permanent step better. Each time you read a book that claims to give you 12 fool proof strategies for getting students to succeed but really only has three usable tips... you get three, usable tips. The time you spend trying to become a better teacher may not always pay off as quickly or as noticeably as you want it to. But it is never wasted. 1. What thought/reactions did you have to this article? 2. Explain the statement: Every time you feel like you have figured everything out, you're mostly wrong. 3. What positive things have you received from your professional development this year? ​Which brings me to one of the most common responses from the survey: I want to be great, but I'm treading water just trying to be okay. New teachers often hit the ground running at the beginning of the year - and are encouraged to do so - when you should really be walking at a brisk pace you can keep up with. Now the treadmill has been at its highest setting for months. You don't need to figure out how to turn it up higher. You need to catch your breath. Instead of asking yourself what you can do more of, ask yourself what you can simplify. Chances are you have at least one classroom system that has way more steps than it needs to. You also probably have one thing you're doing yourself that you could creatively get students to do for you. In fact, one thing I realized as a fourth grade teacher is that the list of classroom jobs is not just to make students feel important. You really do need someone to change the date on the calendar and water the classroom plant and... (fill in the thing you really wish someone else would do here). -Figure out one job that is either tedious or hard to remember, and figure out how you can get students to do it or remember it so it's off your plate. If your problem is motivation, it might be worth checking out whether you have one of these Five Habits that Hurt Teacher Motivation. Some of you also said you'd like to get these emails more frequently, so for the rest of the month, I'll be addressing common survey responses in between the other emails. You can now expect emails every two days until the series is over. Figure out one job or task that is either tedious or hard to remember and think of a plan to simplify the task. Write these ideas the chart paper on the table. Teachers know that motivating students and engaging families is part of the job. Sometimes, however, just keeping ourselves motivated can feel like a full-time job. Although we may daydream about our students sitting attentively with a look of delight that shows their love of learning, this ideal is certainly not always the case. Here are some reasons why your enthusiasm might be lagging and some tips for making it through the slump. With all there is to do every day, it's tempting to funnel your off hours into teaching tasks or turn your home into a satellite office for your classroom. Although this may seem like a sign of dedication, it's likely that if you're never 100 percent clocked out, you're never 100 percent clocked in, either. For the kids' sake and your own, mornings should always feel like the start of a new day, and Mondays should always feel like the beginning of a new week. This means putting realistic limits on the amount of work that you bring home, scheduling specific hours to work on it, and then using your personal time for your personal life. As teachers, we are our own secretaries. Nothing reminds us of this like looking at a to-do list of administrative tasks, especially one on which certain items seem to be permanent residents. To keep your list manageable, break big goals into smaller jobs that can be fully completed in a reasonable amount of time. "Print student test scores" is a good, list-friendly item. "Analyze student data and form long-term plans for each student" is a multipart project more likely to shut down your engine than get you in gear. Remember that your goal, when putting something on your list, is to cross it off. Another hazardous habit is adding items to a daily task list that are actually long-term goals or ideas for the distant future. Not only do these items stay on our lists, but they also constantly remind us of our shortcomings. With this in mind, don't write, "Be better at parent contact" on your to-do list if you really mean, "Call Javier's dad." For ideas that you're not ready to implement, set up a computer folder, or even start a designated e-mail account where you can send ideas when you're on the go. The important thing is to keep wish-list items off your desk and off your list of things that need to get done this week. Dealing with kids all day can make you crave the company of adults, but not all adult conversations help equally. Teachers' lounge gripe sessions may help let off steam some days but feel toxic on others. Other times, you can find it more discouraging to talk to the teacher down the hall who's sure she's doing a fantastic job and can't wait to tell you about it. Just remember—productive conversations comfort rather than overwhelm. Pay attention to which types of discussions drag you down. Then, look for ways to cut them short, tune them out, or avoid them altogether. People constantly tell you to choose your battles in teaching. What they don't tell you is that some of the battles not worth fighting are with yourself. Despite your best efforts, strengths and weaknesses from your personal life will carry over into your teaching style. You're still more organized than creative (or more creative than organized). You're still more ambitious than patient (or more patient than ambitious). 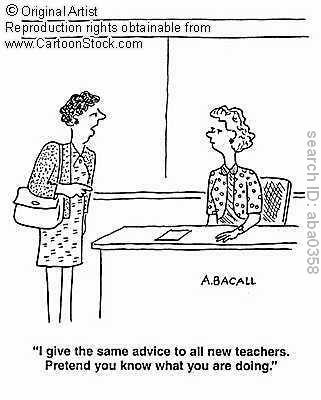 The good news is that many different traits make a good teacher. No one has them all, and some of them can even contradict one another. Your goal is not to conceal your weaknesses or disguise them as strengths; it is to identify your true strengths and use them to reinforce potential weak spots. So, the next time you feel your motivation waning, don't despair—take a moment to examine if you're guilty of any of these common motivation missteps, and adjust your attitude accordingly. Roxanna Elden is a National Board-Certified teacher and the author of See Me After Class: Advice for Teachers by Teachers. More recently, she has created the "Disillusionment Power Pack," a free, one-month series of e-mails for new teachers in which she shares journal pages, stories, and insights she would have shared with the first-year teacher version of herself. E-mails begin with signup and arrive every few days for one month. 1.Which one of these habits speaks to you? 2. What would you identify as a personal strength and weakness? 3. Think of at least one way your strength helps you as a teacher? Most of what new teachers learn in training is good information. ​This is great advice - most of the time. Except this one time, my first year, when I said something to a student meant to show I had high expectations but ended up discouraging him and shutting him down for months. Thou shalt provide positive reinforcement. This is great advice, too - most of the time. Except this one time, my first year teaching summer school, when I complimented a student in a class full of bullies for being the only student who did his homework. As a result, I went from having a class where only one student was doing homework to a class where zero students were doing homework and a formerly nice kid who was now doing everything he could to become the worst-behaved student in the class. ​As beginners, teachers are faced with a constant stream of judgment calls we've never had to make before. Which means sometimes we over-apply good advice. Or we mis-apply advice we only understand at the most general level. Or we reach into our meager "bag of tricks" and pull out the right tool at the wrong time. Often, the mistakes we make are not from a complete lack of knowledge, but from earnestly applying what we learned in training before we really know how it works. 1. What were you trying to do right? 2. How did it go wrong? 3. Does this incident reveal some exceptions to the rule that you can keep in mind next time? In the meantime, if you made a mistake that was based on underlying good intentions, at least give yourself credit for the good intentions. Whatever lessons teachers learn the hard way, we learn in front of a class full of students. Which means that, along with learning all those teaching commandments from training, we also need to learn to forgive ourselves for the mistake we make as we try to put those commandments into practice. 1. Share a mistake from last semester. 2. What were you trying to do right? 3. How did it go wrong? 4. Does this incident reveal some exceptions to the rule that you can keep in mind next time? Your administration is like a bra: if it offers the support you need, you both look and feel better. If it fits poorly, it can get in your way and even become painful. This makes it understandably scary when you have to approach your principal directly, but a tough conversation doesn’t have to mean making enemies in the main office. Walk in with the following tips in mind, and you are more likely to walk out happy. Pick the right moment. Certain times of day or year are tense for administrators. If your boss is handling an emergency, district supervisors are in the building, or a high--stakes test is next week, it’s a bad time to knock on the door to follow up on a discipline referral. Pick one issue at a time. Your principal is more likely to listen to your request to replace broken desks if it’s not combined with an unrelated complaint about the lunch schedule. Focus on your highest priority and leave other topics for another day. Offer a solution. 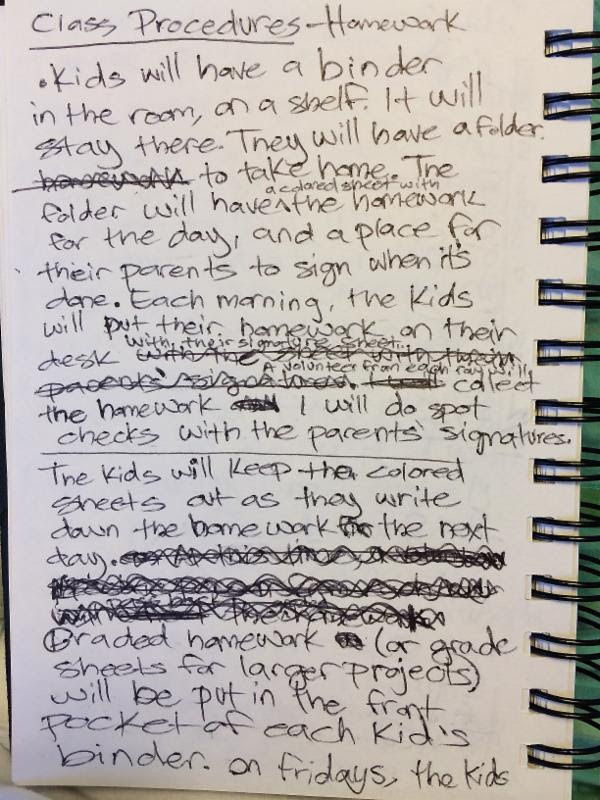 Administrators have the same problem with overwhelming to--do lists that teachers do. Your principal will be more receptive if you approach with a plan of action you’d like her to sign off on rather than a problem you hope she will figure out how to solve. Offer to do most of the work. When someone is trying to sell you a car or a gym membership, they handle the paperwork themselves. All you have to do is say yes and sign. Keep this model in mind when you want your principal to approve your field trip request. If you get the answer you want, expect to make phone calls, fill out paperwork, and collect permission slips on your own. Keep it to a minimum. Before crossing an administrator’s radar, consider your own scorecard. Did your principal have to calm down angry parents last week? Have you just requested a schedule change or ordered expensive supplies? Have you been writing lots of referrals? If so, give it some time. Requests and complaints can combine with other issues to make you seem like a high--maintenance employee. Keep it private. We often hear that students need to save face and will react badly if confronted in public. This advice applies to people of any age, and it definitely applies to your boss. Don’t embarrass your principal—-or yourself—-by airing private complaints in public. Keep records. Maintain a “professional responsibilities” file with copies of paperwork you’ve turned in to the main office. Make notes on any discussion that could relate to your future employment. If you believe you’ll want proof of a conversation with an administrator, try to have that conversation by email. Just remember that email is a record for both parties. Proofread carefully before you hit “send,” and never write work--related emails when you are mad. Be professional. If talking to your boss makes you feel like you’re stuck in a Dilbert cartoon, try not to let it show. Trying to change a supervisor’s management style or IQ won’t help anyway, and losing your cool could hurt your career. Be realistic. It’s usually not worth heading to the main office with matters outside your administration’s control. School--level administrators aren’t in charge of every decision, and there is a limit to the number of times your principal can approach higher ups with requests or grievances. Principals need to stay on their boss’s good sides too. 1. What 'AHA moments did you have when reading this article? 3. Have you had any experiences you can share that illustrate any of these points? 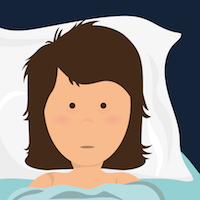 I’m a believer that images from a night’s sleep can provide insight into daytime thoughts, so it’s always been interesting to me that so many teachers report having similar dreams — or, in many cases, similar nightmares. With the help of my yellowed copy of Tony Crisp’s Dream Dictionary and conversations with a few colleagues, I’ve prepared a completely unscientific, non-research-based guide to six common teacher nightmares. Don’t be surprised if you recognize some of the scenarios here. 1. You show up to work in a bathrobe/your pajamas/the clothes you went out in last night. 2. You are already running late. Then you get lost on your way to school. The Dream Dictionary says dreams about being late (whatever you’re late for) can mean avoidance of responsibility, but there is a chance that this one can be taken literally: Maybe you really are apprehensive about being late on an important day of school. As, of course, you should be. Even if you’re sure everything is laid out as you want it, get a head start so you can be there before your first early-bird student. 3. Your subject or grade level has been changed at the last minute. Teaching requires lots of advanced preparation, but also the flexibility to deal with last-minute changes. It can be tough to deal with this contradiction. After all that work setting up a hands-on biology center for your seventh graders, it’s natural to worry about a sudden change to your teaching assignment. 4. Students show up at your house. This dream is most likely to occur right after you hit the snooze button. It involves a group of students showing up at your house, sometimes coming inside to help themselves to bowls of cereal from your kitchen cabinets while you try to think of an activity to keep them busy. 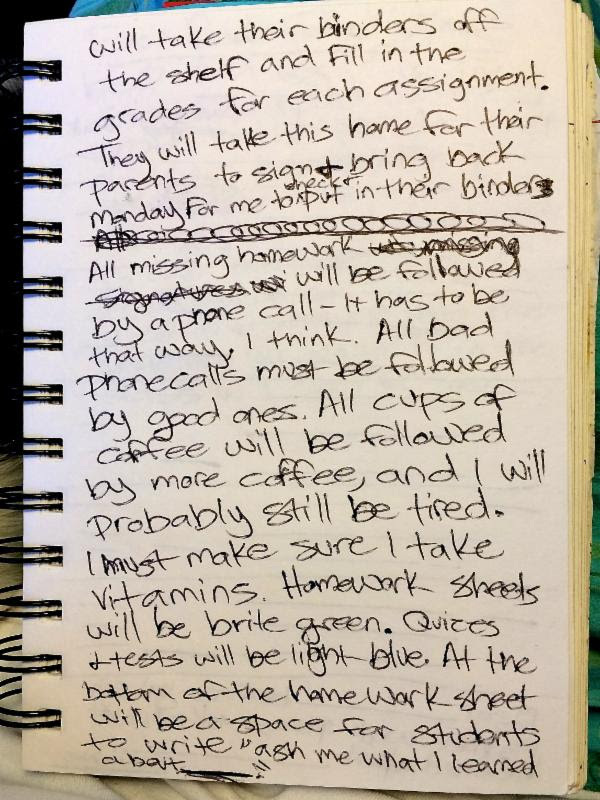 This dream is probably a sign that you’re worrying about your students even when you’re not at school. It’s also probably your subconscious telling you that when your alarm rings a second time, you better not hit snooze. 5. You are in a physical fight with a student, fellow teacher, or administrator. On a figurative level, fight dreams can express your desire to defend your honor, values, or personal space. Other interpretations are more straightforward: Violent dreams can show anger and frustration. Or, who knows? Maybe you have a genuine, subconscious urge to hurt the colleague who stole your lunch from the teachers’ lounge fridge, the administrator who criticized you in front of your students, or the kid who WON’T STOP TAPPING HIS PEN WHILE YOU ARE TRYING TO GIVE DIRECTIONS. In fact, in some cases, teachers report that this type of “nightmare” can also show up as a daydream. 6. Your classroom is in the cafeteria, an open field, or an irregularly shaped room where you can’t see all of your students, and they can’t hear anything you say. This is unfortunate, because you often have about 250 students in this type of dream, including every bad kid you’ve ever seen, and even bullies from your own school days. Psychologists in a documentary called “What Are Dreams?” say nightmares are our brain’s way of preparing for situations even worse than our worst-case scenario. This applies here. After spending the night imagining an L-shaped auditorium with hundreds of children, your rectangular class of 30 should seem a little less scary. Don’t you think it’s comforting to know that even your worst nightmares are just your brain doing its thing to help you become a better teacher? That should be reason enough to get a full night’s sleep whenever possible. If you’re tempted to cut sleep short, remember that dealing with 30 kids on only a few hours of sleep really can be a nightmare.